Greetings from the island of Borneo in Indonesia. 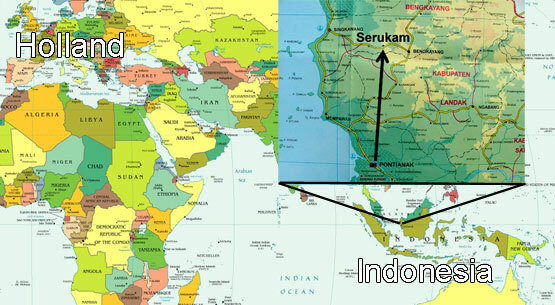 Till the 16th of May I am working in the Mission Hospital and I will go to France again on the 8th of June. I am very busy again in different departments in the hospital http. This time I am improving the water distribution and renewing water lines which leak underground. In between I am being called from everywhere to go and fix something else here and there. I have been for a week to the small clinic again to do some highly needed repairs on equipment. 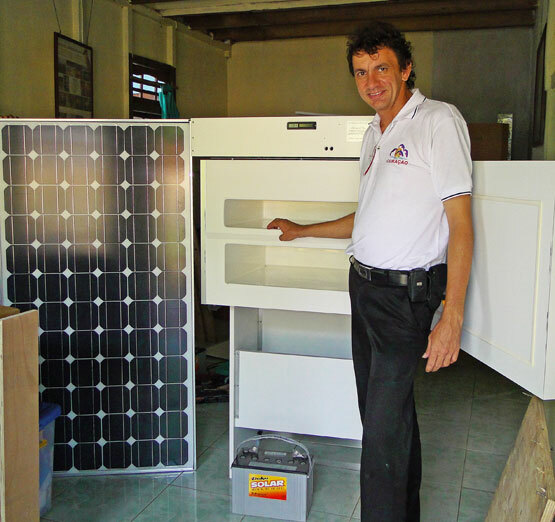 Also I installed a special vaccines fridge which works on solar energy with a solar panel on the roof. That was a nice job. I would love to do more with solar energy so we can make more use of the sun. Joyfully it was announced at the announcements of the last meeting in Chapel �Praise God all washing machines work again� Yes they are very intensely used and each year when I come I can fix them. There were 2 of the 3 industrial washing machines broken at my arrival. This time both motors were broken, so I went out to find new motors and found them locally. The motors are in now and all work again. My task is also to go out and do some shopping to find certain spare parts in the big city. Trying to find something in a different country and a different language is a difficult but fun and challenging task. Also I need to be able to discern between good and bad quality. 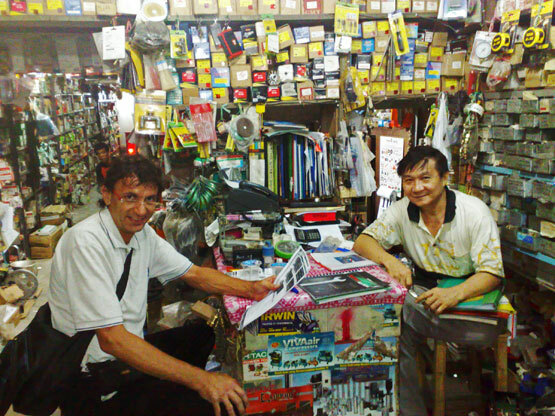 �If cheap is better, then its OK but often more expensive is cheaper in the long run.� Some shop owners speak some English and in the meantime my Indonesian language is getting better. A good friend very kindly helps me when I am in the city and he drives me around too. On the picture I am sitting in a small overly full hardware store where I could find certain things even when things are stacked behind each other. On the picture I am in the ICU fixing a ventilator which was leaking costly oxygen. God has provided a Mechanics Tools Set since last newsletter. The following which is really necessary is a good Electricians Tools Set in a handy case for the repair of all kinds of electrical equipment here. On the picture you can see a picture of a nice flyer from the hardware store in the big city. I will have to supplement the toolbox with some extra special tools. There is a lot of repair to do and good tools are greatly needed here. This is already the 4th time I am here in the Mission Hospital. And each year I do a lot of repairs on the old waterlines. Also a lot of faucets are old and worn out. Hopefully this year we will get closer to not losing so much water because of leaky pipes and faucets. The water comes in for free because it comes from a dam on the property, but in summer there is a lot less rain and no water in the dam, so all we can repair now will benefit for when there is less water. Also the drains need a lot of maintenance each year, there is always something clogged somewhere. And one must not be afraid to get his hands dirty. And it is encouraging when everyone is thankful because no one else could or wanted to fix it. 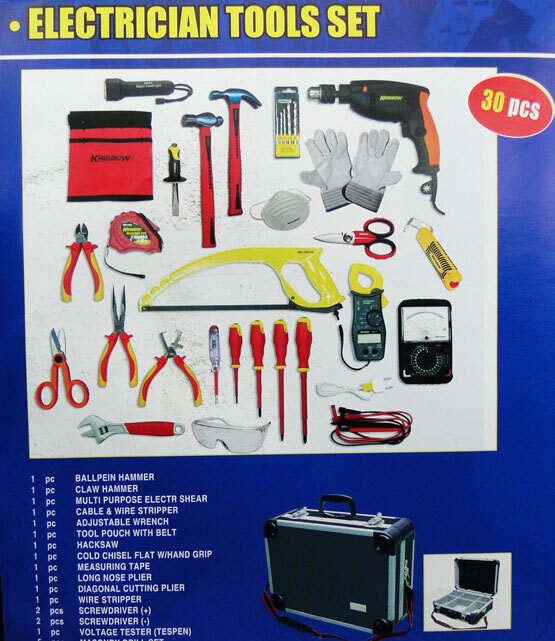 Do you like to help with buying an Electricians toolset? Read the sad story of how the caretakers of the children in a children home in Morocco were put out of the country in March within 3 days. Matthew 20:34 So Jesus had compassion on them and touched their eyes, and immediately their eyes received sight, and they followed Him.